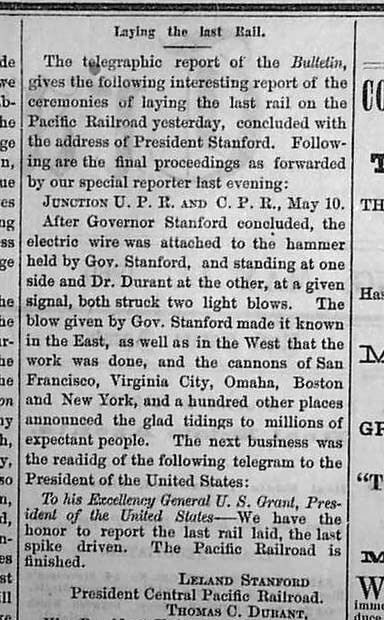 Oakland Daily Transcript, May 12, 1869. 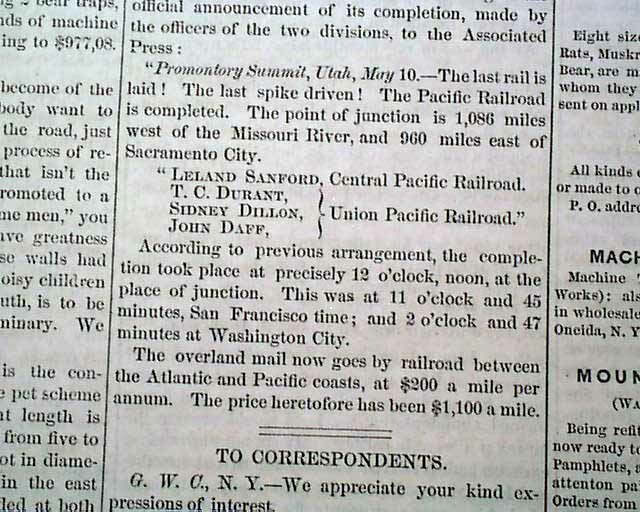 THE CIRCULAR, Oneida NY, May 17, 1869 – Transcontinental Railroad Completed – Last Spike Driven in at Promontory Summit. 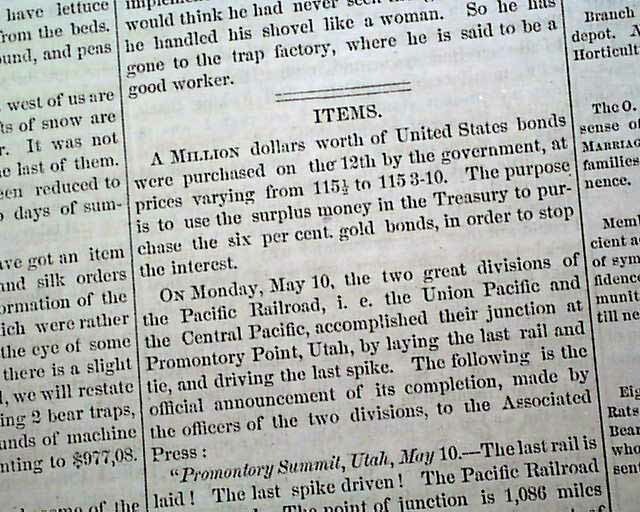 NEW-YORK TRIBUNE, Jan. 15, 1868 – Taking all of the first column on the front page is a detailed notice for "Central Pacific Railroad First Mortgage Bonds". 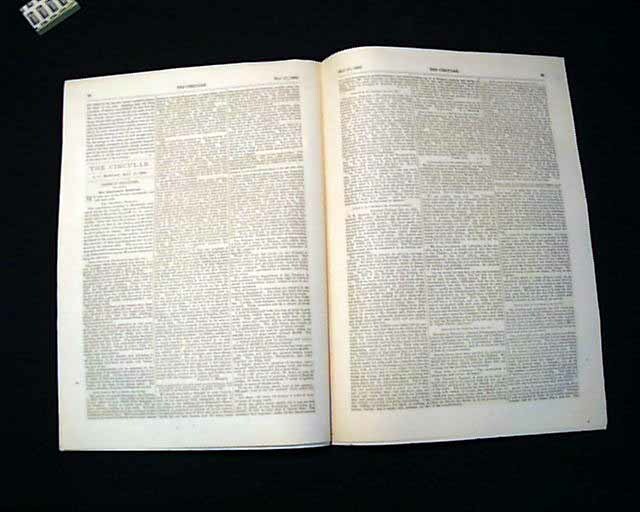 THE MERRICK COUNTY ITEM, Central City, Nebraska, Jan. 28, 1880 – Page two features a great illustrated ad for "Specimen Views of Union Pacific Railroad Lands in Nebraska." 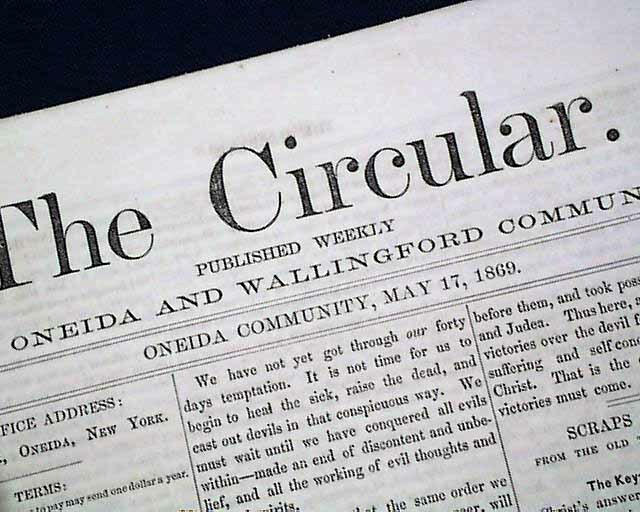 MORE RARE NEWSPAPERS ABOUT THE FIRST TRANSCONTINENTAL RAILROAD! 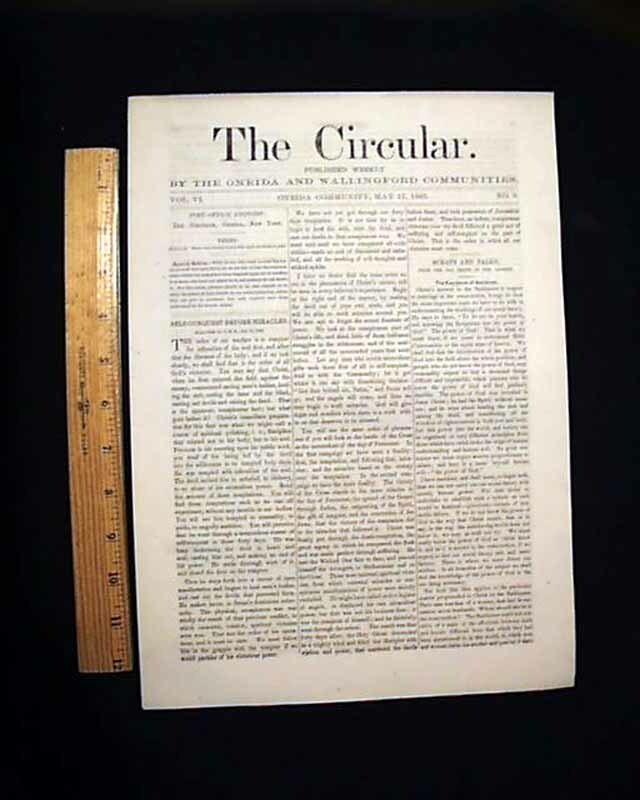 Courtesy of Timothy Hughes Rare & Early Newspapers.